Here we go for another monthly linkup with the wonderful ladies from The Well! Today the question they posed is: What are your goals for fall? How crazy is it to think that there are only 3 months left of 2015?!?! Where in the world did the time go? It seriously feels like yesterday that we were ringing in the new year and I was setting my reading goals (because I use the school year as my time period for life and academic resolutions/goal setting instead. I feel like I'm always going to be in a student mentality). Yet, here we are at the onset of fall and I am in slight denial. Although as I'm writing this I have been suffering through the most uncomfortable heat, living in a dorm without air conditioning for over a month, and it certainly doesn't feel like fall, I am excited for the upcoming season and have both serious and fun goals in mind! ROCK OUT MY SALES COMPETITIONS. 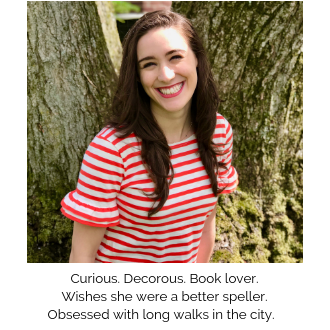 This semester I'll be competing in a regional and national competition in October and November which I am looking forward to (if you haven't read about sales competitions on the blog yet, check out this post). I've done well in the past and am looking to maintain, if not exceed, that. I'm practicing multiple times a week and am always thinking about how I can be an even better salesperson. I have the tendency to spend my days inside the library, occasionally staring out of the window for a taste of the world. As much as I love the library and consider it my second home, I want to make a conscious effort to get outside and enjoy the crisp air and bright sunshine. Apple and pumpkin picking, exploring quaint towns, getting to be by the water as often as possible; this is all wicked important to me! It can be hard when weekends need to be spent studying and preparing for classes but I am also doing my best to take time away from the school work and enjoy more than just academic pursuits. READ WHAT I WANT TO. So, I have this thing where I read multiple books at once. Like, a lot of books. The reason this happens is because I will start a book I enjoy and then see another which interests me and I absolutely cannot wait. Then there'll be books I think I should be reading to become more knowledgeable about a certain topic, so I'll add that. Then, before I know it, I am reading six books and not progressing through any at a pace I'm happy with and instead feeling overwhelmed instead of relaxed. My goal is to focus in on one book (ok, maybe two. Three tops.) and enjoy it to the greatest extent. This will come down to having variety, like, for example, reading a novel and then some nonfiction instead of just devoting myself to business books. P.S. You should totally be my friend on Goodreads! There it is, my goals for fall, the best season ever! 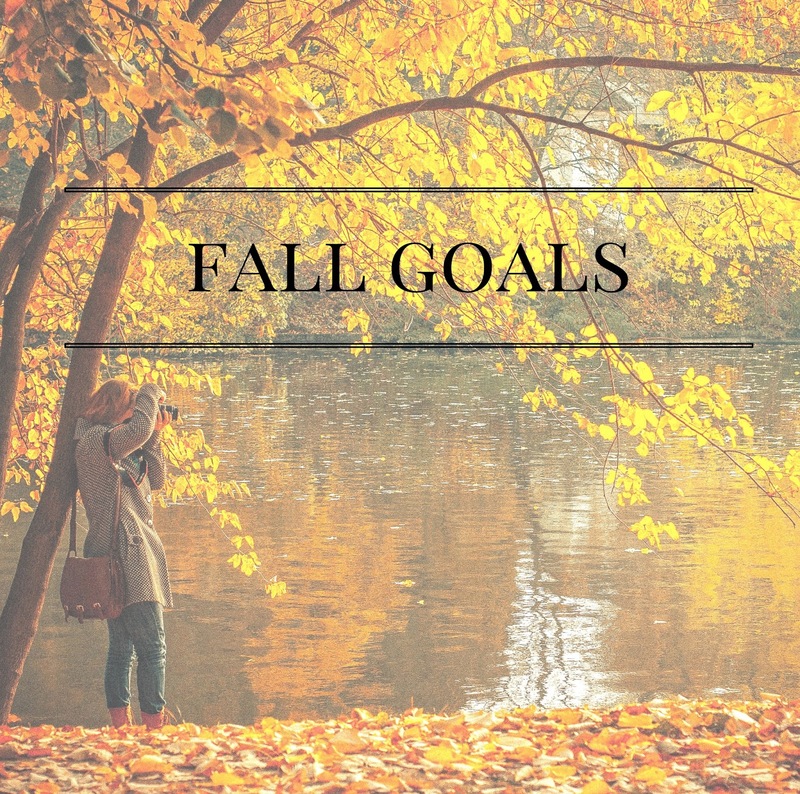 Be sure to explore these posts from other bloggers about their fall goals!